Go HERE to see the "old" New Arrivals page from before 2002. 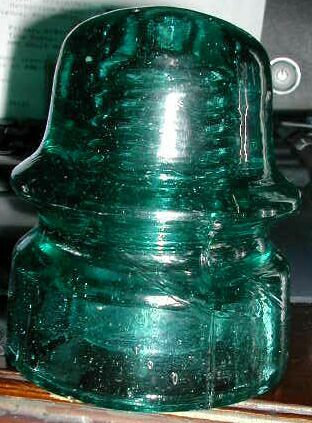 This insulator was sent to me by a very thoughtful & generous woman in Florida in late-July 2016. 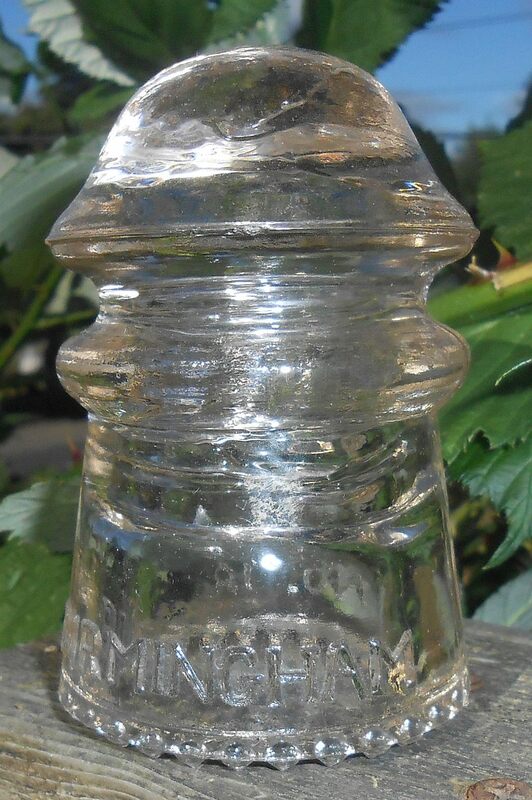 I have done a bit of detective work and have come to the conclusion that this may be a Lynchburg insulator. (Left): Taken in filtered morning sun. (Right): Taken in full late-afternoon sun. 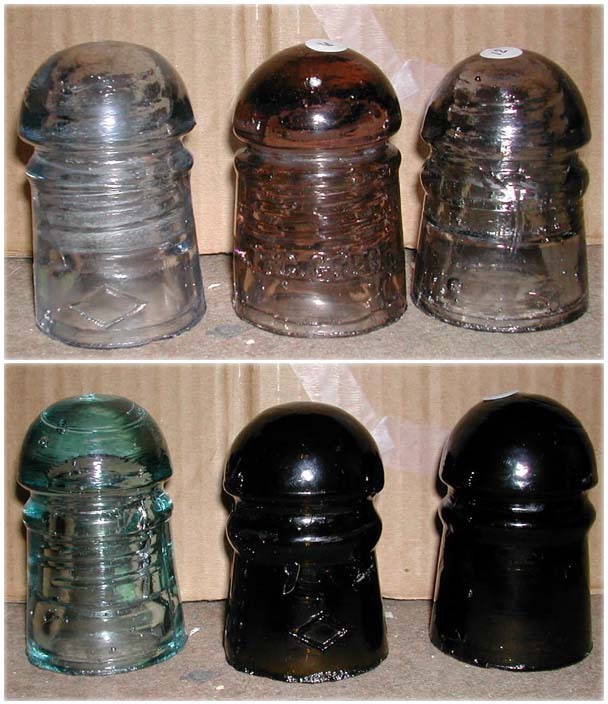 In the left-hand picture, you can clearly see the pink tinge. 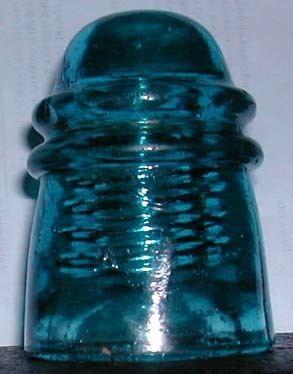 This insulator was purchased from another collector in mid-May 2004. It is a CD170.1 signal, with no embossing and a continuous drip. 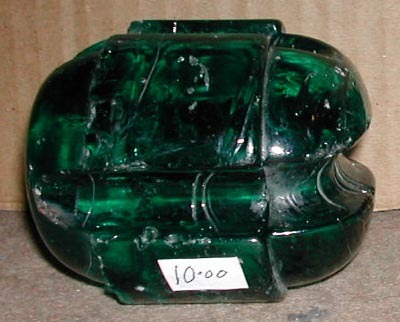 This insulator was purchased from another collector in late September 2003. 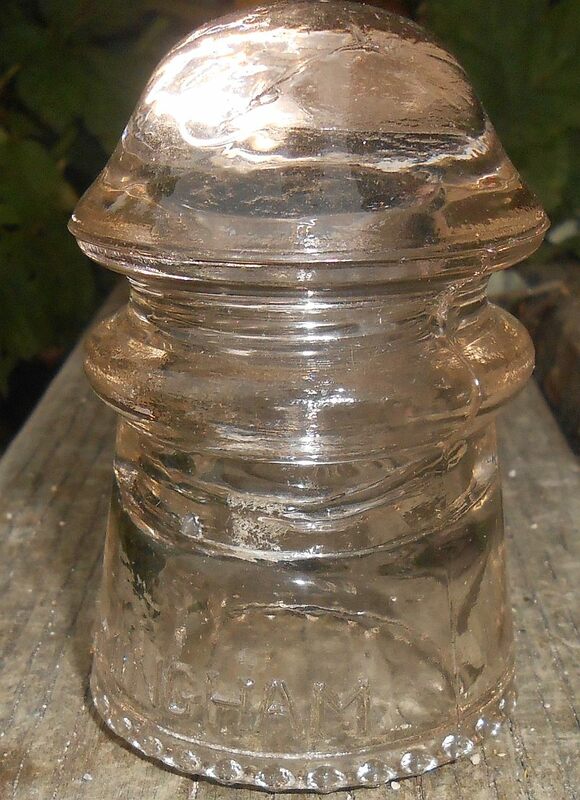 It's a CD1105 "nail on knob" type, found more often in houses than on power poles. 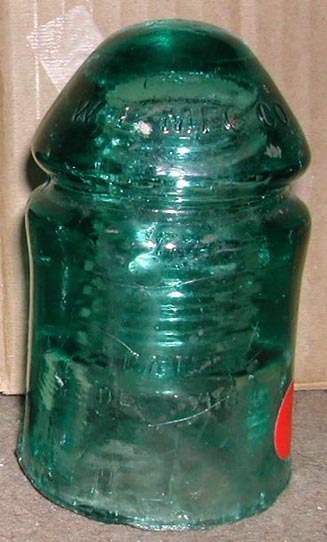 East Coast collector well known for his rare pea-green "B" beehives. 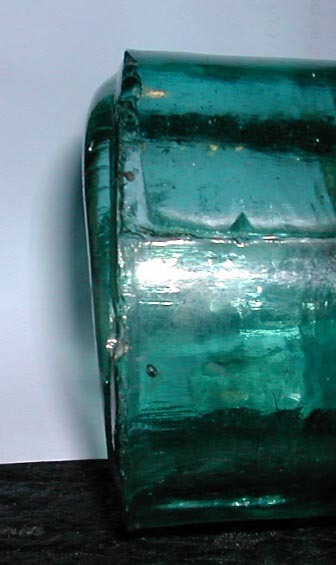 It is shown next to a "Windex blue" Am. Insul. 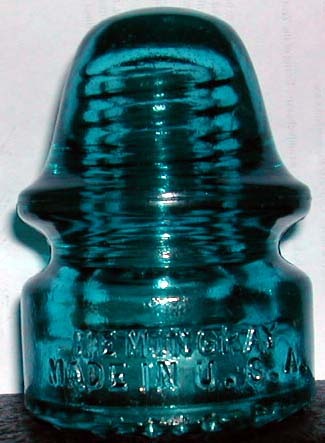 Co. beehive and a Brooke's blue CD120.2. 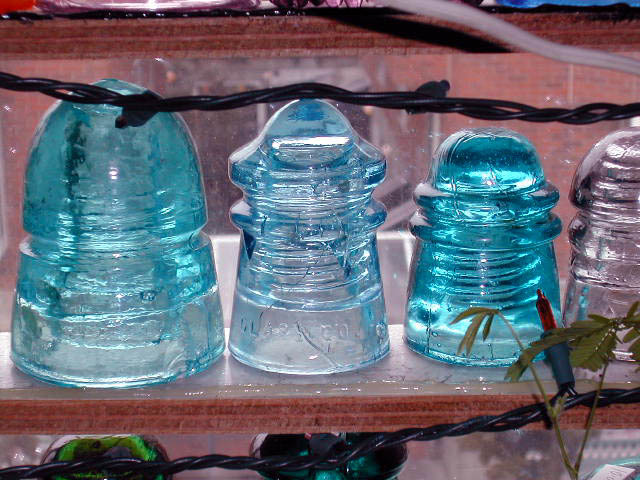 This is an assortment of "wild ponies" I picked up at the 2002 Seattle insulator swap & potluck. Oh, nothing, unless you count that CD134 base moulded with a CD162 top. This is actually a fairly rare, but listed variant of the Hemingray CD134, plus it has killer color! Another real gem - a CD120.2 in a stunning shade of Brooke's blue. 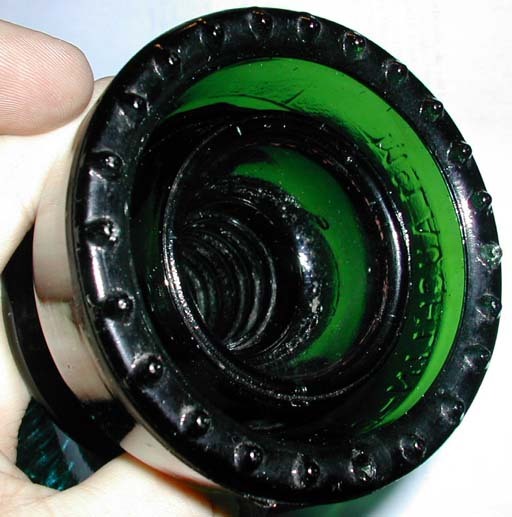 Here's a shot of the base on that 126.4 shown above. Check out the "continuous drip" and how lopsided it is. 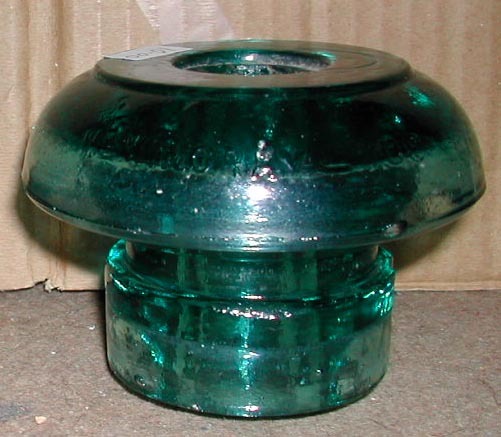 When you stand this funny insulator up, it looks like it's drunk because it leans over to one side. 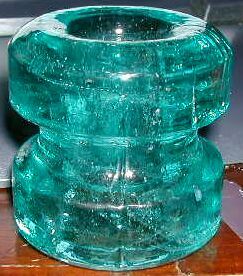 This insulator had a much deeper, richer green than any 7-up bottle though. 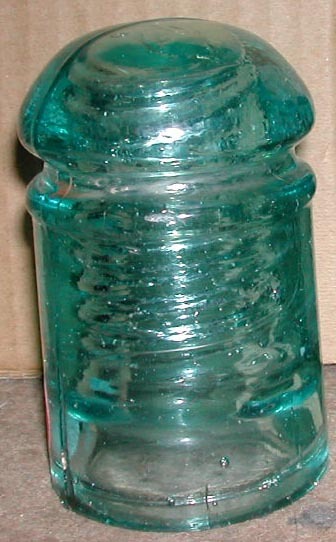 And this is my first Johnny Ball strain insulator, a CD1140. Looks like I'm going to have to start collecting these too.